D.R. Horton’s Southwest Florida Division is pleased to announce that since opening in August 2013, the Oaks at Whiskey Creek is now more than 90 percent sold out. The remaining 4 coach homes in this beautiful community of only 66 homes are available for quick move-in and are expected to sell out soon. Special incentives are available for closings before the end of December. With construction complete and the Old Florida aesthetic emerging along with the maturing landscaping, sales have accelerated in recent months. 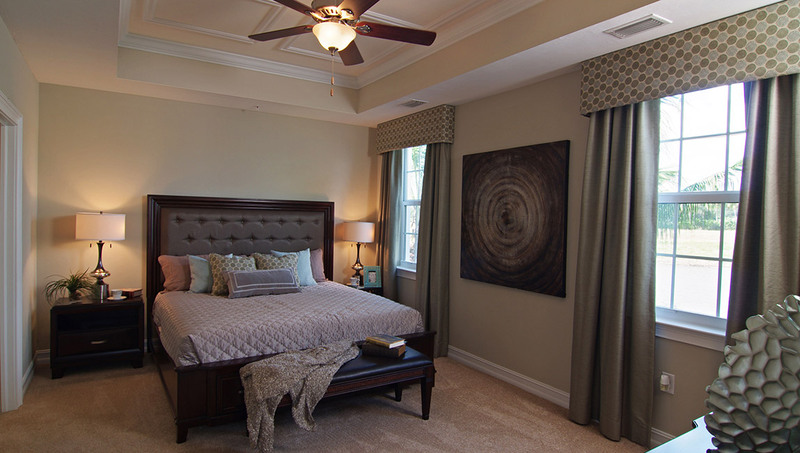 In addition, the Oaks at Whiskey Creek is unique in the central Fort Myers area for its combination of charm and modern convenience. There are only four coach homes in each of the buildings, so every home has windows that allow light in from three sides. Standard features include high ceilings, eight-foot windows, extra storage, screened lanai, and quality finishes throughout, including granite countertops, stainless steel appliances, 42-inch cabinets, and tile throughout the living area. New energy-efficiency measures add to these homes’ affordability and comfort. Two Capri plan homes and two Ravello homes are still available, with prices starting at $179,075. The Capri offers two bedrooms, two baths, a den, and a one-car garage for approximately 1,402 square feet of living space. The Ravello plan is 1,661 square feet and has three bedrooms, two baths, a den, and a one-car garage. This charming community was planned with a great sensitivity to the importance of green space and surrounds a central park area crowned by its namesake trees. The Oaks at Whiskey Creek is bordered by the Wyomi Creek waterway and a preserve, yet is close to shopping, dining, golf, and world-class fishing. Located just one block north of College Parkway on Winkler Road, this private community is central to everything Fort Myers has to offer and is convenient for commuters. The Oaks at Whiskey Creek is only minutes from a unique historic downtown area and some of the best beaches in the U.S.
For more information contact Sales Agent Lisa Stamm-Buchman at (239) 313-8854.